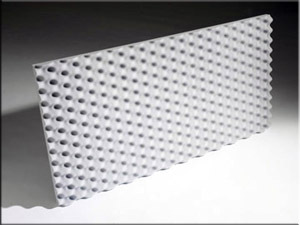 FireFlex is one of our acoustic foam panels made from class A fire rated melamine foam. 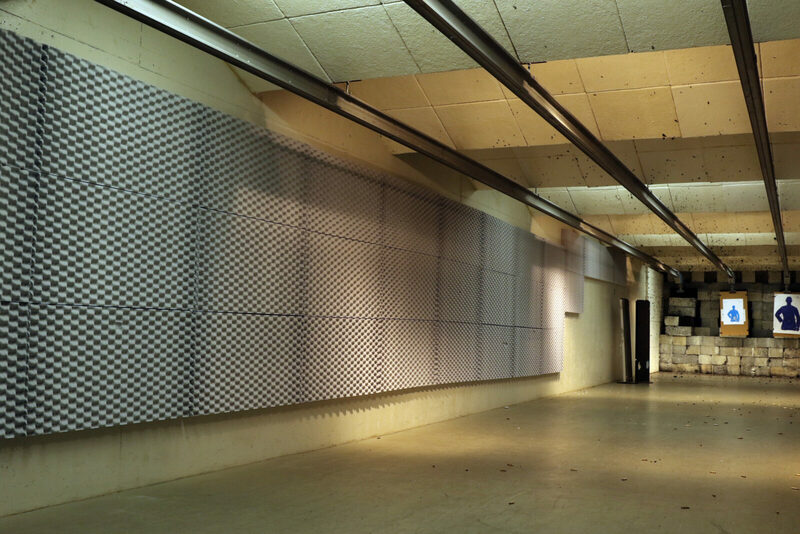 These sound absorbing panels are ideal for controlling excessive levels of echo in a variety of commercial or industrial settings. FireFlex are 2′ x 4′ panels. Available in white, light gray, or graphite gray and in 2”, 3” or 4” thickness. The thicker you go with the panels, the more low base frequency energy you will be able to capture and convert. The FireFlex Melamine acoustic foam panels are ideal solutions for applications including studios, recording, music rooms, vocal booths, radio stations, TV studios, broadcast studios and more. 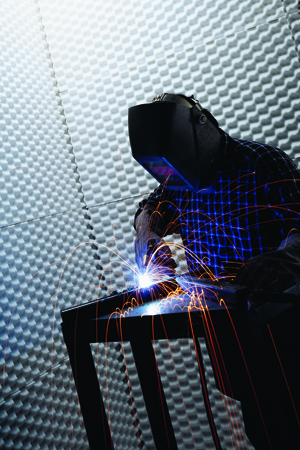 This class A fire rated acoustic foam offers premium sound quality in a variety of settings, from public buildings to high heat source locations in a factory setting. Remember that the key to the sound values you are seeking is to ensure that you do not under treat your space. Be sure to use our Room Analysis to help target the right amount of material, or call our help desk at 1-800-638-9355. 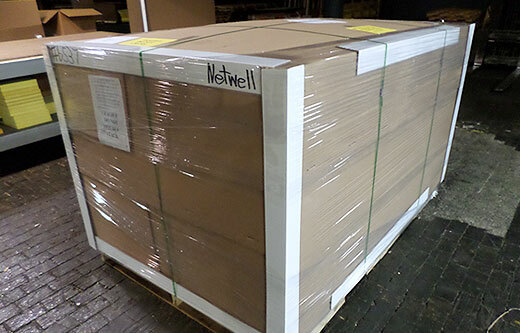 FireFlex panels are shipped in 2’x4’ sheets. Price points will vary depending on panel thickness and color. Orders can be placed by phone at 1-800-638-9355 or online using the link to the left. The price tables reflects 2″, 3″ and 4″ thicknesses. 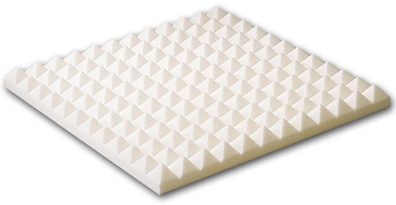 FireFlex is delivered with more of the egg carton style sculpted into the face of each foam panel. The pattern does not perfectly repeat itself from panel to panel as you adhere them to your perimeter wall surface. For alternative cuts of the same melamine foam, cuts that would produce a more symmetrical presentation to your room, consider our Pyramids or our VCuts foam patterns. FireFlex along with any other acoustic foam panel can be easily installed. The panels can be trimmed as needed with a box cutter or utility knife, and glued into place with standard silicone based adhesive. Cut the panels from the back flat side of each foam panel for a more even field cut at your project site. FireFlex panels will be boxed and shipped via Fedex Ground for smaller orders, or shipped on pallets via common carrier for larger orders. Care should be given during the delivery of your order to inspect the boxes for any damage that may have happened in transit. If so, be sure to sign for the delivery as damaged so that we can replace any damaged pieces at no charge. Our popular Room Analysis is complimentary. This innovative tool is designed to calculate how many FireFlex panels you would need based on room size to hit your target sound values and quote your project back. Getting your coverage amounts accurate will play the key role in assurance that your soundproofing treatment works. We based that calculation on the dimensions of your space. Use this tool to submit back room size and stand by for your quote. Questions? 1-800-638-9355.